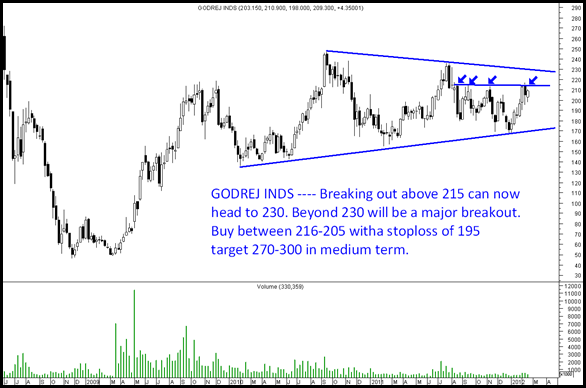 Godrej Inds — Good Breakout. Just a late update to the client call initiated at 215 yesterday. 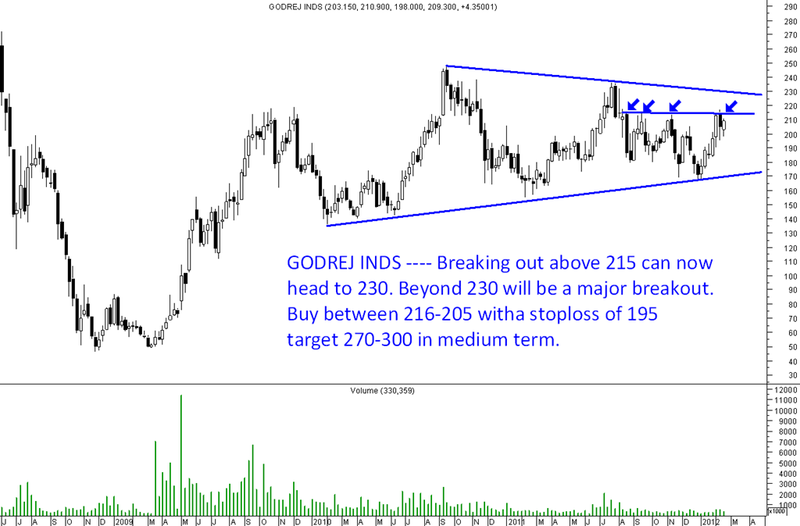 We may now watch for a weekly closing above 230-235 for a much bigger breakout. The stock has been recommended many a times in the past as a strong bet for long term. Maintain hold. Nooresh bhai godrej ind, nesco, vinati org, kernex all have jumped from u r recommended level. Is there any problem with dynamatic techno ??? it is falling from thousand to 900. Should i purchase now???????????? ?